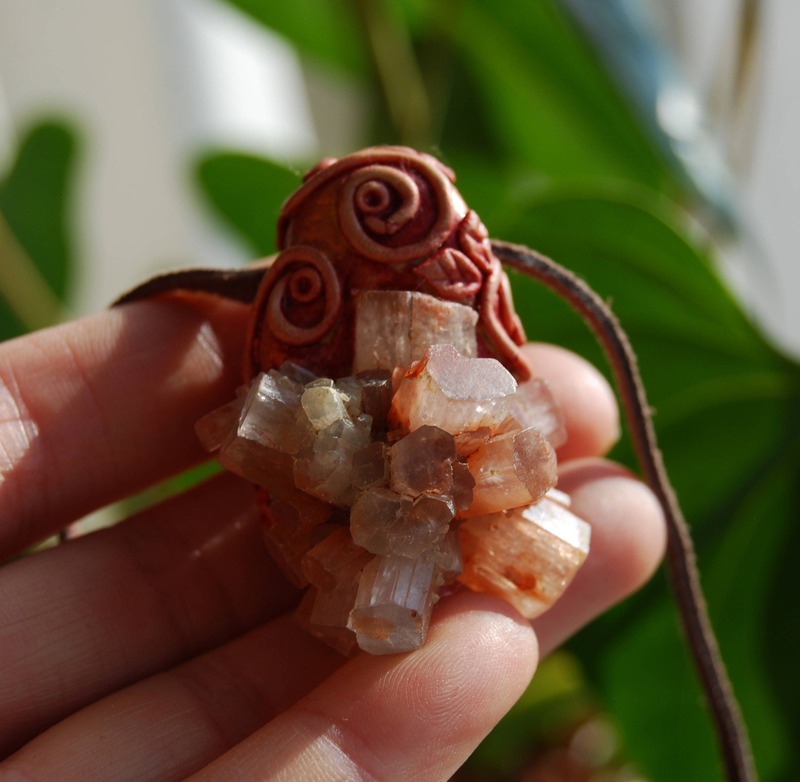 This is a lovely natural light colored Aragonite Star cluster in handsculpted durable clay setting that I made myself. 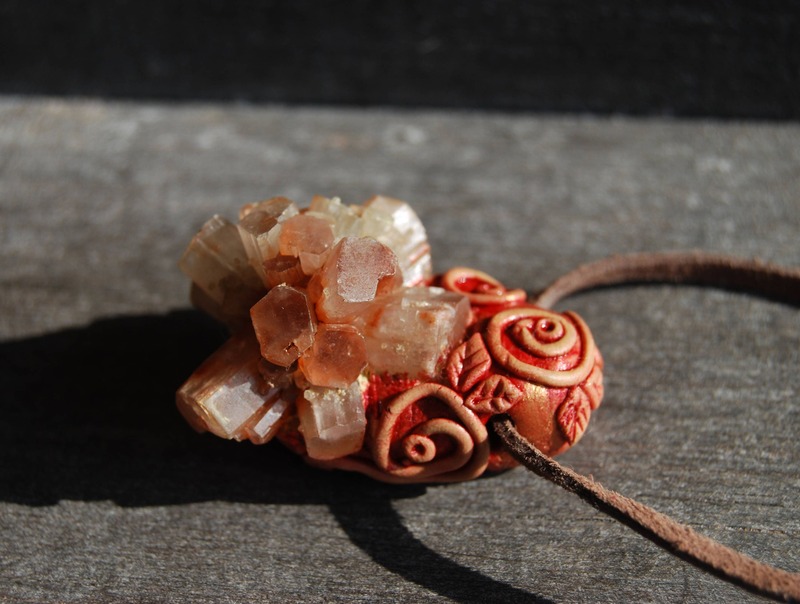 Aragonite star clusters have an excellent vibration for allowing you to feel more grounded, fully present and centered. They may aid you to be more patient and to be more content about your life circumstances. 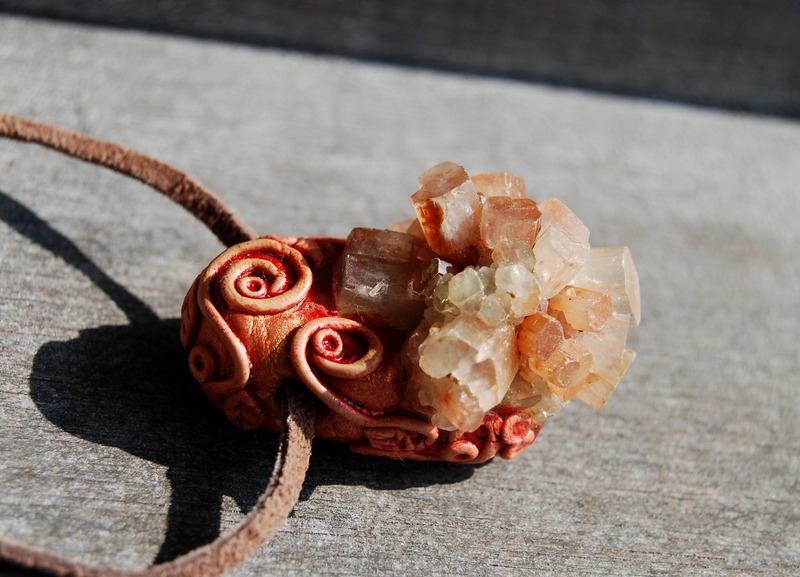 Aragonite crystal properties include the calming energies that help in blocking out mental and spiritual irritants and disturbances. By filtering out chaos and distraction. 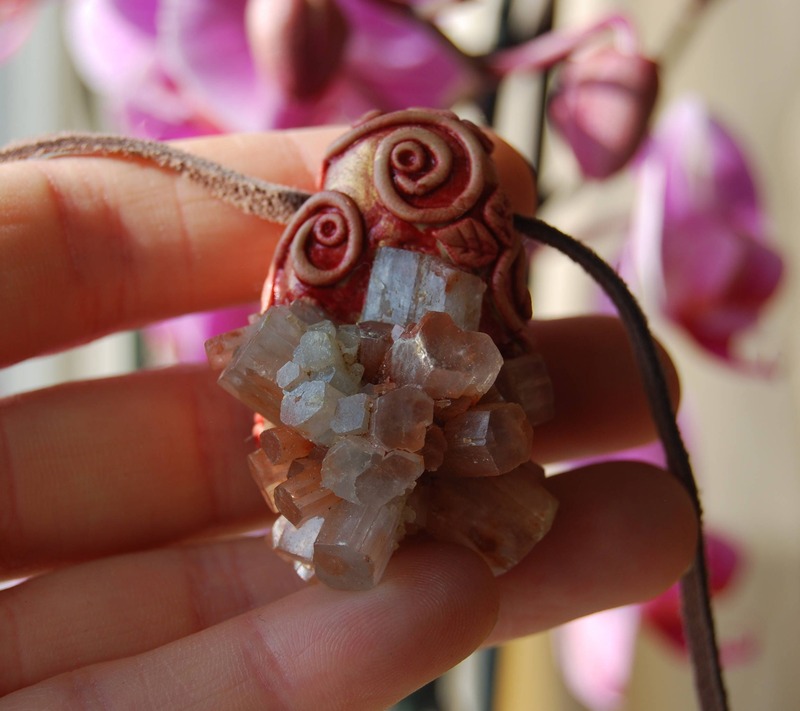 Aragonite crystals help in smooth meditation and spiritual healing. 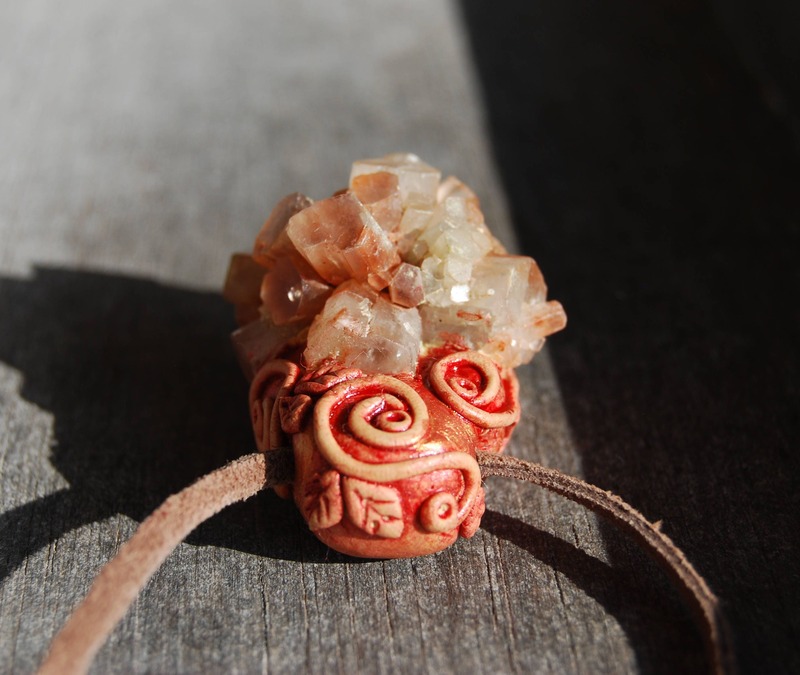 They give you useful ways to relieve stress and when you are generally having difficulty coping emotionally with the circumstances of your life, these stones may be particularly helpful. They may relieve anger and resentment and they are known to help you if you have anxiety, stress or other negative emotional feelings. This pendant is cleansed after I made it. 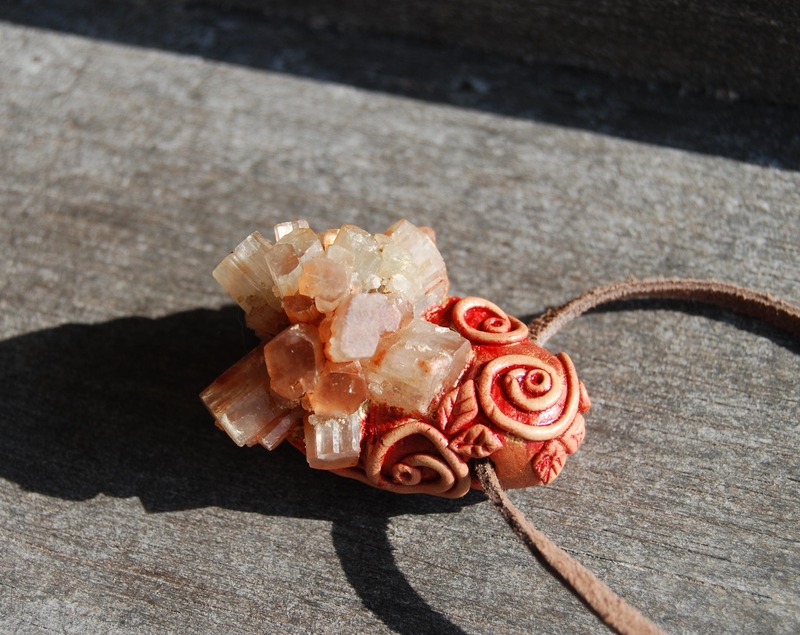 In the process of making it, I think and connect with the gemstone and its properties and how it will effect the wearer. I believe that the intentions that I use when I am creating a piece is important. All my jewelry is made with joy and intentions of love and compassion. Made with quality clay so it's durable and very strong. However, it is better to take it off while showering or swimming. 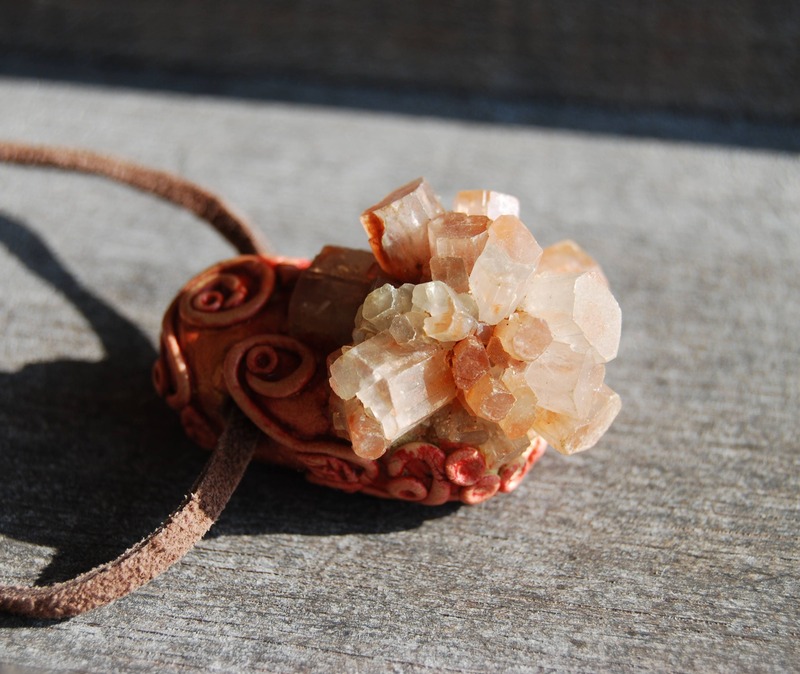 The pendant comes on an adjustable suede cord. Measures approx. 4.7 cm / 1.9 inches from top to bottom.